A multi-million dollar expansion of Gippsland Lakes Community Health’s (GLCH) Bairnsdale site will support local jobs, with CM and HM Banks Builders named as the successful tenderer. Federal Member for Gippsland Darren Chester said the Federal Government was providing $500,000 toward the upgrade at the McCulloch Street site in partnership with GLCH. “Works will commence within the next few weeks to more than double the existing space at the premises,” Mr Chester said. “The project will provide more meeting spaces and consulting rooms to support an additional 50 staff required to meet the growing demand for health, aged and social services in the region. Chief Executive Officer Sue Medson said GLCH had recently employed additional staff in anticipation of the upgrade, with demand for services expected to require ongoing re-evaluation of the jobs required. “The need for health services in this area is just growing so rapidly, particularly in supporting family violence and aged and disability. This expansion will mean we can have more staff on site, instead of commuting between several premises in Bairnsdale,” Ms Medson said. “This expansion will allow us to better support the local community’s needs, to reduce waiting times, and make sure we can provide those additional services that are required. The Federal Government is providing $500,000 from the Building Better Regions Fund (BBRF), with GLCH sourcing additional funding and providing $500,000 of its own. Works are set to start on a major upgrade at the GLCH Bairnsdale site in McCulloch Street. 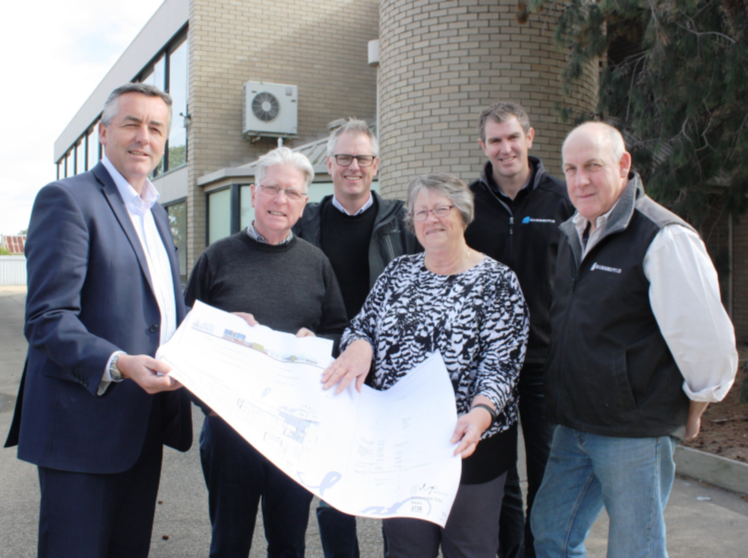 Federal Member for Gippsland Darren Chester is pictured with Len Chapman and Patrick Carson from Slap Architects, GLCH CEO Sue Medson and Rob Soulsby and Chris Banks from CM and HM Banks Builders, which will undertake the works.